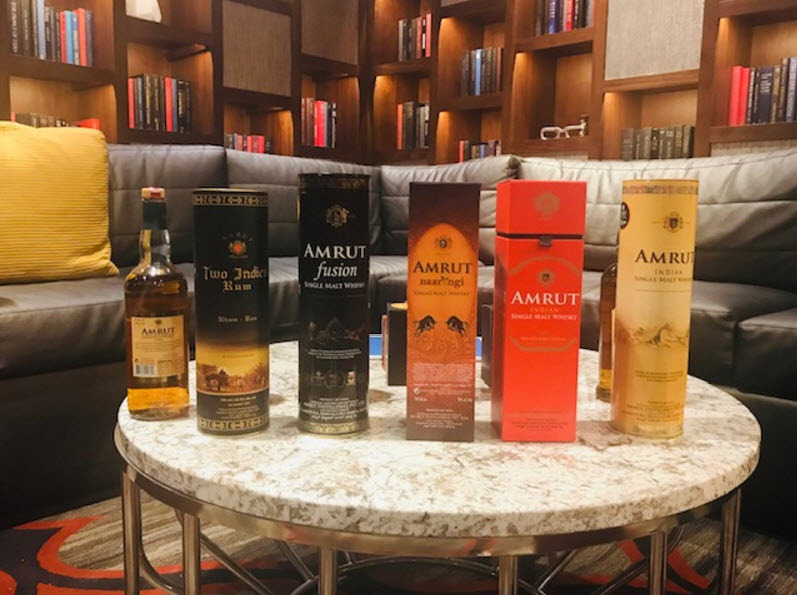 Single malt whisky connoisseurs can rejoice at the news that some of the finest whiskies in the known world have reached our shores from Amrut Distilleries in India. 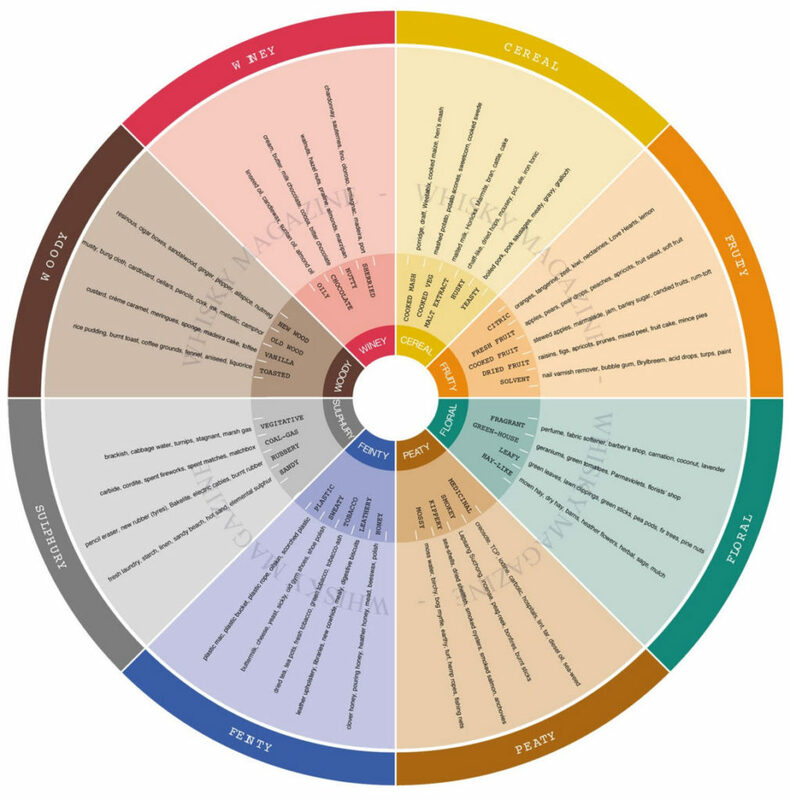 Amrut “Fusion” has been rated “third best” whisky in the world by British whisky writer, Jim Murray, with 97 points from the Whisky Bible who at that time ranked it third in the world. They could also boast of the “Thumbs Up” award from Malt Maniacs and dozens more awards worldwide. A recipient of 92 points out of 4,800 entries by Whisky Advocate, they have consistently beat out the best-known Scottish whiskies in countless blind tastings. Its “Single Malt Peated Cask” has scored a coveted 92 points from the Whisky Bible. 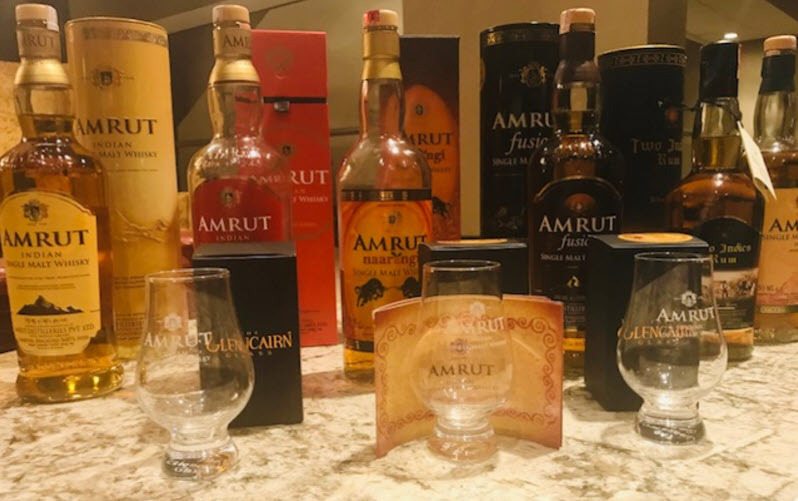 In 1987, and despite outsider prejudice, Amrut bravely put its product into these highly competitive Scottish tastings to prove it can compete with the best in its field. They are now the number one whisky in India, despite the country’s longtime preference for Johnny Walker Black, a holdover since the early days of British colonialism. Last month I had the opportunity to taste all of Amrut’s products from their single malt through their entire gamut of whiskies and rums. I didn’t do a blind tasting, because frankly I would have planted my face in the floor, especially as it was a noon tasting and I hadn’t had breakfast. Managing to keep upright throughout, I settled in for a concentrated, thought-provoking experience that would both confound and alter my appreciation of whiskies outside the realm of the best-known brands. Made from select Indian malted barley grown in Punjab and Rajasthan, these spirits are distilled in the hot climes of India. They react to those conditions by coming to fruition far earlier than others of their ilk. Their flavors are modified by temperature, added ingredients (spices, citrus peel and the like), the wood used in the casks, Himalayan water from the Sutlej river, and the casks’ former use. These choices are made under the direction of Master Distiller Surrimar Kumar, a 33-year veteran of Amrut and award-winning whisky innovator, and veritable genius in drawing out the complexly crafted, unique personalities he is after. One of Kumar’s creations is Amrut “naraangi” that won “World’s Best Whisky 2018”. Aged three years in an ex-oloroso sherry cask, the single malt is then seasoned with wine and orange peel and aged for another three years. 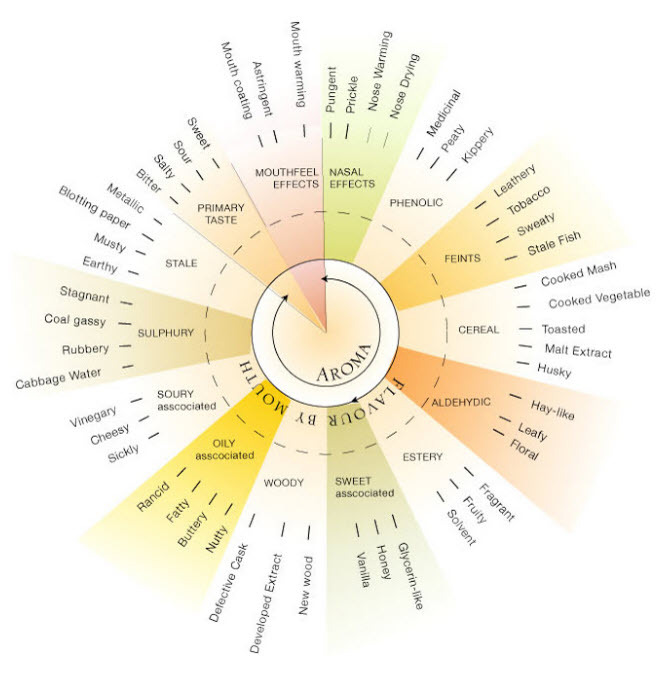 Did you know that 60-70% of flavoring comes from the barrel? That’s how important the choice of wood is for determining the final profile. So, imagine for a moment using wood from five different species of trees to produce one whisky barrel. These specially designed barrels are used exclusively for their “Spectrum Single Malt Whisky” to be available in 2020. I’ve tasted whisky made in port barrels and sherry barrels (Amrut “Single Malt Whisky Intermediate Sherry” earned 96 points from the Whisky Bible), but this is an exciting new concept. A Special Limited Edition, Amrut “Madeira” aged in Madeira barrels, will be on the U. S. market in time for the holidays. Next year, Ashok Chokalingam, who has been with the company for many years, will take the reins as Master Distiller and Whisky Innovator bringing his own imagination to the company’s growing range of whiskies and rums. At our first meeting he offered up this self-effacing quote. “We are a minnow coming from India,” he told me. Well, this minnow of a company has become a full-grown shark with a high demand for its products that’s currently five times what they can supply. But, no worries. The company’s newest plant will now be able to accommodate its rising popularity. 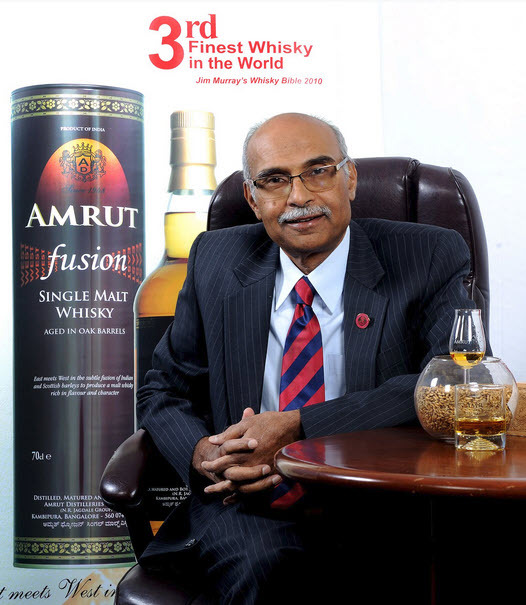 Amrut is now in 45 countries and boasts $3M in annual sales. 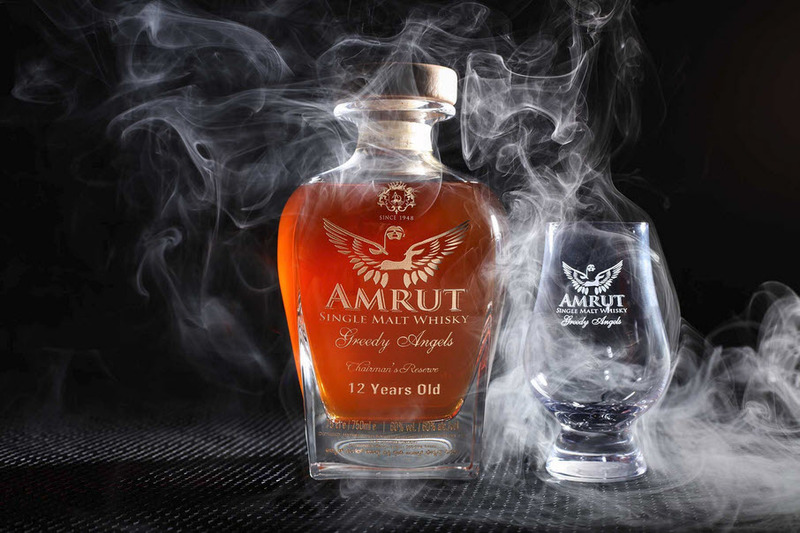 Surprisingly, the U. S. is the second largest market outside of Europe for “Amrut Single Malt Indian Whisky”. Now I’m no expert in describing the varied flavor profiles of whisky, I rely on my palate and my years of experience tasting spirits from around the world. I leave it to the whisky mavens to create descriptors for these products. They’re the ones that can extrapolate the taste of honey, chocolate, ginger, licorice, chocolate-chip cookie dough, driftwood (?!!! ), orange, smoked fish, pepper, barbecued meats, pears, coconut, cherries, plums, raisins, lemons, and on and on. It’s a probably good thing they don’t describe food. Because India is the world’s second largest producer of sugar in the world, Amrut made the decision to produce rum, and it is sensational. Ashok explained that rum existed since 320 BC – long before rum was produced in the Caribbean in the 17th century. 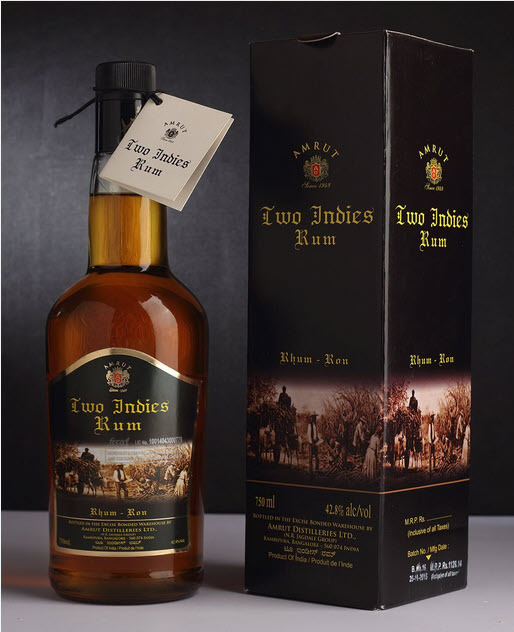 Amrut offers two types of rum – “Two Indies Rum”, made with leftover sugar cane from Jamaica, Trinidad and Guyana. It is made with five rums that have been aged together. The “Old Port Deluxe Matured” has a lovely hint of coconut from the jaggery sugar used in the process. Jaggery is a by-product of sugar cane grown in India. If you’re looking to impress a whisky connoisseur with the whiskies that everyone is talking about, you can do no better than some of these winning spirits. Imported by Glass Revolution Imports you can find many of these whiskies and rums in our area at Jack Rose Dining Saloon, Pappe, Bombay Club, Rasika, Karma, Chaplin’s and Chloe by Haidar Karoum. For more information visit Amrut Distilleries and Amrut Whisky UK Office.